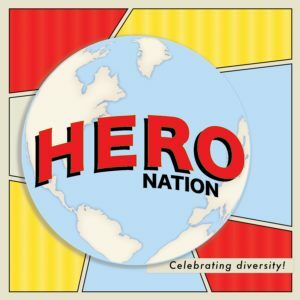 Hero Nation was created to shed a light on underrepresented communities in comic books, television, movies, and other forms of media. We believe diversity in media matters because at the heart of geekdom is connection. What better way to connect than building an inclusive society where all voices are heard? Stories affect how we see other people and how we see ourselves. Accurate representation of marginalized groups, therefore, is key in helping to break down stereotypes, eradicating the “us vs. them” mentality, and emphasizing the interconnectedness between us all. Hero Nation will offer a platform to stories and characters you may already know or may never have heard of but should know. And since we love psychology we also throw in a little bit of how these stories can be used in a therapeutic context. Join us as we celebrate diversity in the superhero world!